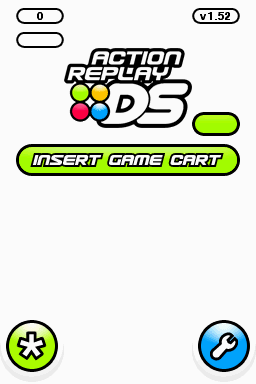 Like every other Nintendo DS game, the Action Replay DS has a banner (an icon and a description). However, since the Action Replay DS is designed to bypass the Nintendo DS menu regardless of the system's start-up setting, it's never seen. Later Nintendo handhelds (like the DSi and 3DS) don't even acknowledge the Action Replay DS when inserted. This page was last modified on 11 May 2017, at 23:05.